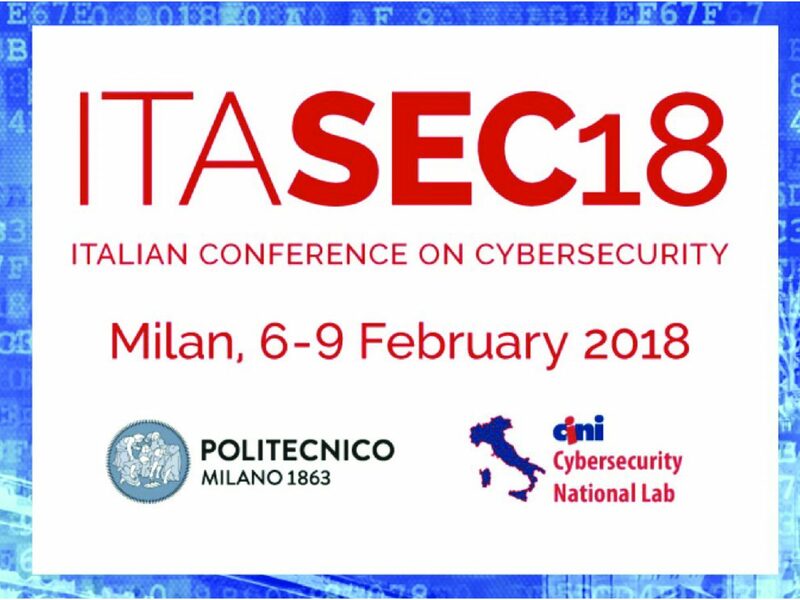 ITASEC18: BV TECH PARTNER OF THE CONFERENCE | BV Tech S.p.A.
BV TECH is a partner of the Italian Conference on Cyber Security, ITASEC18, which is currently taking place at the Polytechnic University of Milan. The event promotes the collaboration between researchers and professionals of the academic, industrial and institutional world in the increasingly strategic and crucial field of Cybersecurity. This event follows the conference “Cyber Security: Last Call” held last January 25th in Mestre, and wanted by BV TECH in partnership with Ca’ Foscari Alumni, which had among its speakers the Group’s President, Raffaele Boccardo, together with the Dean of Ca ‘Foscari University, Michele Bugliesi, the professors Stefano Zanero (Polytechnic University of Milan), and Riccardo Focardi (Ca’ Foscari University), and last but not least the lawyer Stefano Mele (expert in the field of ICT Law, Privacy, Security and Intelligence). BV TECH is now co-sponsor of this important international initiative. Stefano Zanero and Riccardo Focardi are, once again, among the keynote speakers. In the area of the Cyber Security BV TECH is one of the founding members of the Interdisciplinary Consortium for Improving Critical Infrastructure Cybersecurity, established by the Massachusetts Institute of Technology – MIT Sloan School of Management. BV TECH continues its commitment to promoting the development of a widespread culture of Cyber Security and the production of Made in Italy technology, supporting advanced theoretical and experimental training (learn by doing), as well as fostering an open and equal dialogue between institutional representatives, the private sector, and academia.